Almost every parent of school age children up and down the country will soon be starting the dreaded back to school shop. You know the one where you drag your little darling’s around clothes shops and supermarkets to try on and buy uniform ready for September. That’s a lot of kit that needs labelling, especially as I can’t sew and the iron on labels only seem to last a couple of washes. Then there’s the problem of the writing washing off and needing to re-write the labels every few weeks. 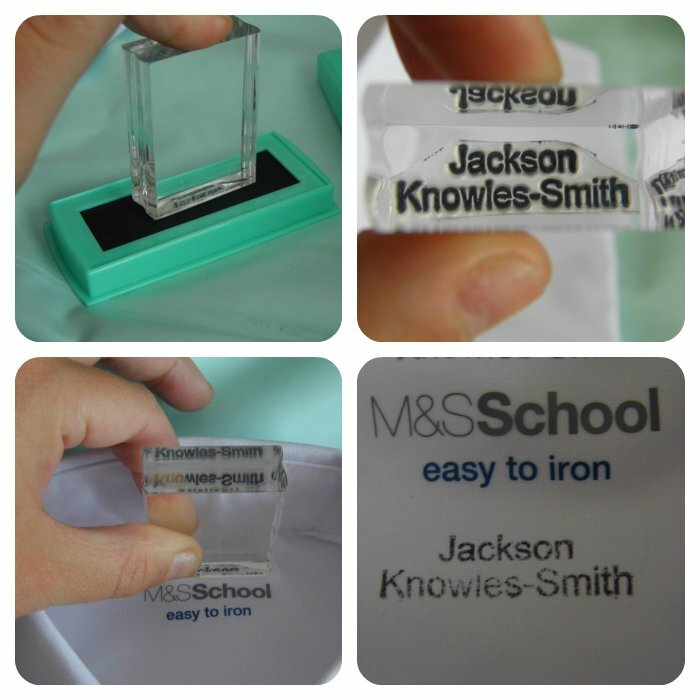 However I don’t have that problem you see last year I discovered Stamptastic the personalised naming stamp and I have to be honest it has made my life so much easier when it comes to labelling new school uniforms. 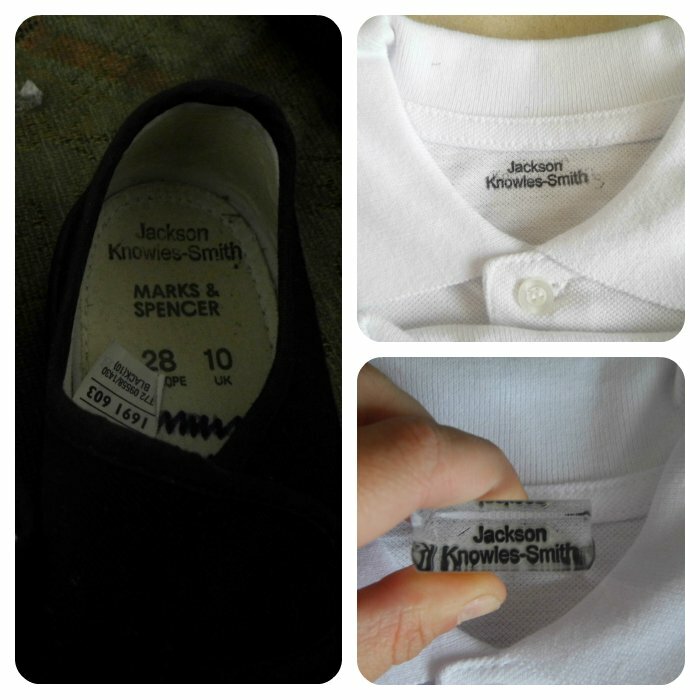 You simply stamp the clothes which makes the job so much quicker, not only that the uniform of JR’s that I stamped last year can still be read clearly, unlike the iron on label I used as a comparison. You can even stamp water bottles and lunch boxes although you may need to re-stamp those throughout the course of the year because of the material they are made from, having said that JR’s water bottle is a little worn but still readable. I even stamped my pencil case when I attended a conference earlier this year. The ordering process is really simple too and you can choose a font style and font size, and delivery usually takes between 7-10 days. Disclosure: I received 3 Stamptastic sets for the purposes of this review however I had previously purchased one myself all words and opinions are my own. 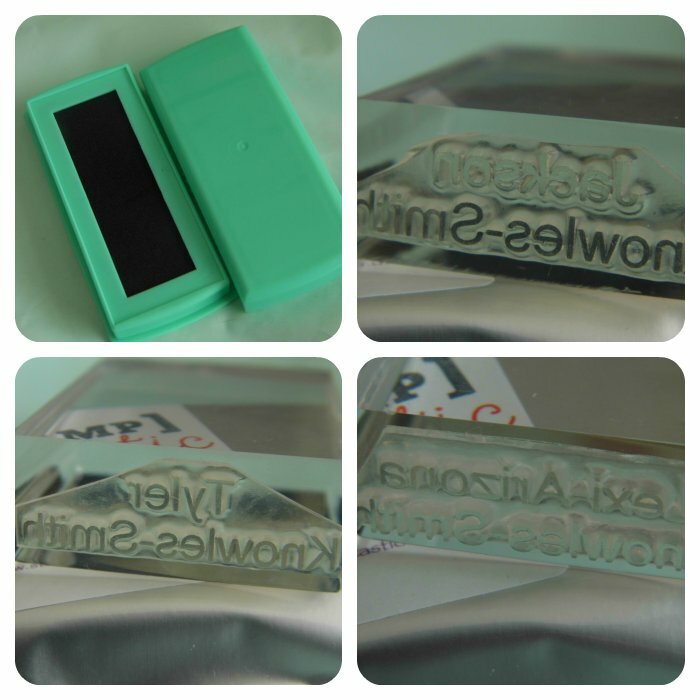 We’ve been really impressed with our Stamptastic stamp. I don’t think my husband would sew or iron labels but he will happily use the stamp!